[S1510] Birmingham, England Baptisms: Mary Jane Smith; Birth: 18 September 1838; Baptism: 12 October 1838, St. Philip, Birmingham, Warwickshire, England, 1813-1912, Ancestry.com. 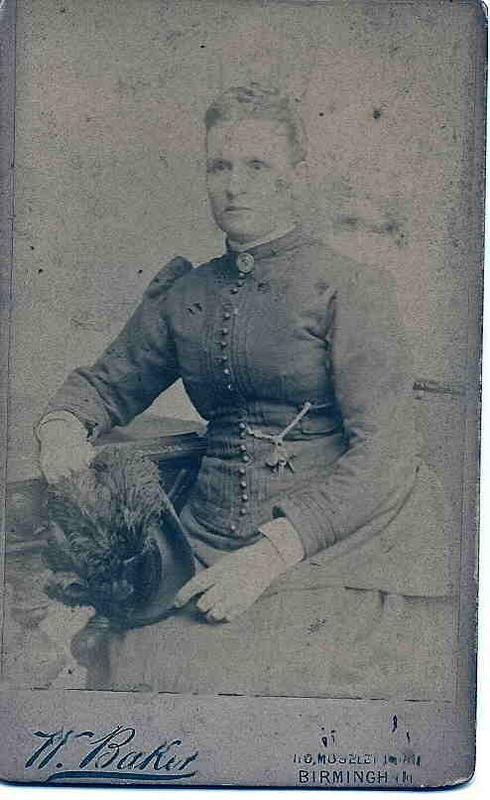 [S490] International Genealogical Index (IGI) Mary Jane Smith, Birth; 18 September 1838, Birmingham, Warwick, England. England Births and Christenings, 1538-1975. (Indexing Prject Number: C04179-8; System origin: England-ODM; Source Film Number: 813725. [S384] 1851 England Census, Warwickshire County, Aston, England, GSU Roll 87315-87316, shows age 6. [S491] 1861 England Census, Warwickshire County, Aston, England, GSU Roll 542929. [S685] The Waterbury Republican, 21 April 1926, Page 12. [S490] International Genealogical Index (IGI) Mary Jane Smith, Birth; 18 September 1838, Birmingham, Warwick, England. Shows father as William Smith. [S1510] Birmingham, England Baptisms: Mary Jane Smith; shows father as William Smith, 1813-1912, Ancestry.com. [S1510] Birmingham, England Baptisms: Mary Jane Smith; shows mother as Ann Smith, 1813-1912, Ancestry.com. [S490] International Genealogical Index (IGI) Mary Jane Smith, Birth; 18 September 1838, Birmingham, Warwick, England. Shows mother as Ann Smith. [S416] 1841 England Census, Warwickshire, HO107, England, GSU Roll 464184. [S284] William A. Littlehales, 1910 United States Federal Census, New Haven, Connecticut, population schedule, Waterbury, ED 465, sheet 16A, dwelling 138, family 331, shows immigration year as 1890. [S206] Interview, L. Drucie Littlehales, 7 August, 1997, Interview with Drucie 8-7-97 at Abbott Terrace Convalescent Home.